I drink this tea EVERY. DAY that I go to work. It is the first thing that I do before getting myself set up at my desk; prepare my tea. Every morning I put a generous perfect spoonful of main squeeze in to a DavidsTea draw-string tea bag, wrap the string around the top to secure it, and pull off the tab. Why? Because I keep that sucker in the water the ENTIRE TIME, so this prevents the water climbing up the string and dripping all over the edge of my mug. No steep time, it sits in the water and stays there. The key is to just let it sit, I swear. This tea is my coffee. Only it tastes a million times better. I hate coffee, it's bitter, overwhelming, and it lingers like tribbles. 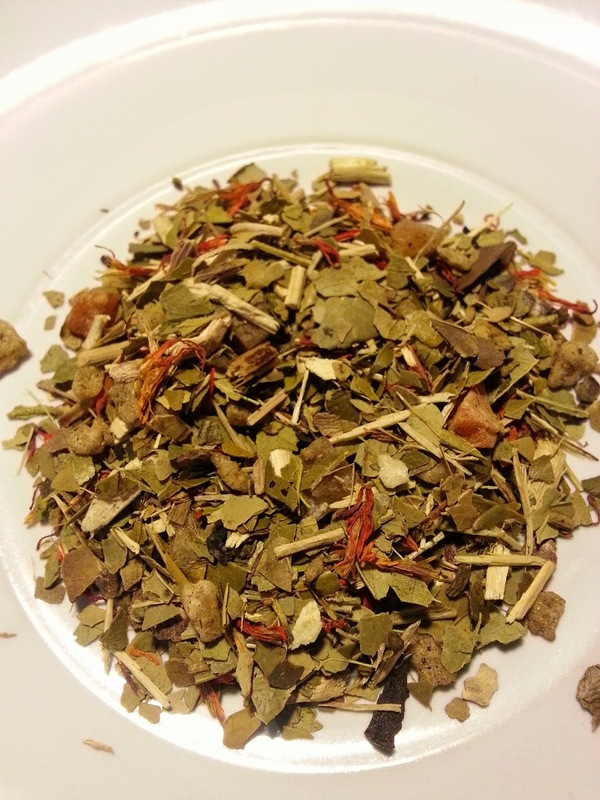 This tea is fruity, mostly a papaya flavour, with a nice strong base of the mate. I really enjoy the taste, and it has the wonderful added bonus of giving you that much-needed jolt on a weekday morning. I recommend this to anyone and everyone who wants a tea that isn't black for their wake-up.